Metra commuters on the city's North Side will soon have a new, improved train station to pass through. CHICAGO (WLS) -- Metra commuters on the city's North Side will soon have a new and improved train station to pass through. 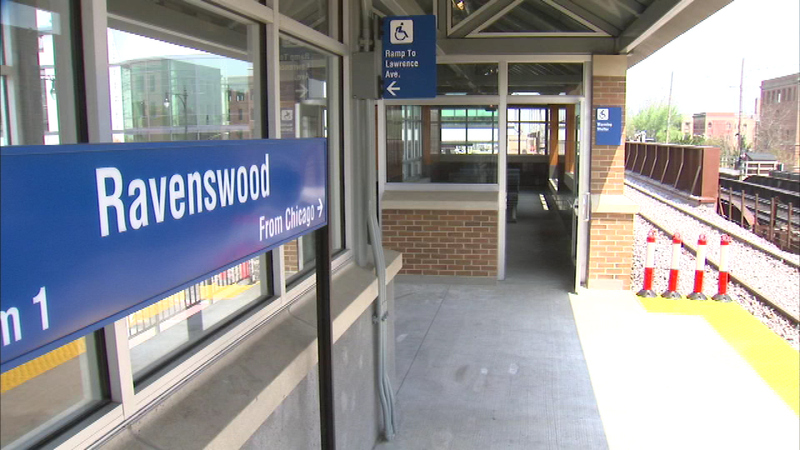 Metra's Ravenswood station at Lawrence Avenue on the UP-North line is being rehabbed and expanded. The more spacious and modern station was shown off on Wednesday. The outbound side of the station is complete. It will officially open for passengers on Sunday evening.